Ladybug; photo by DM (dmott9) on Flickr (use permitted with attribution / no derivative works). 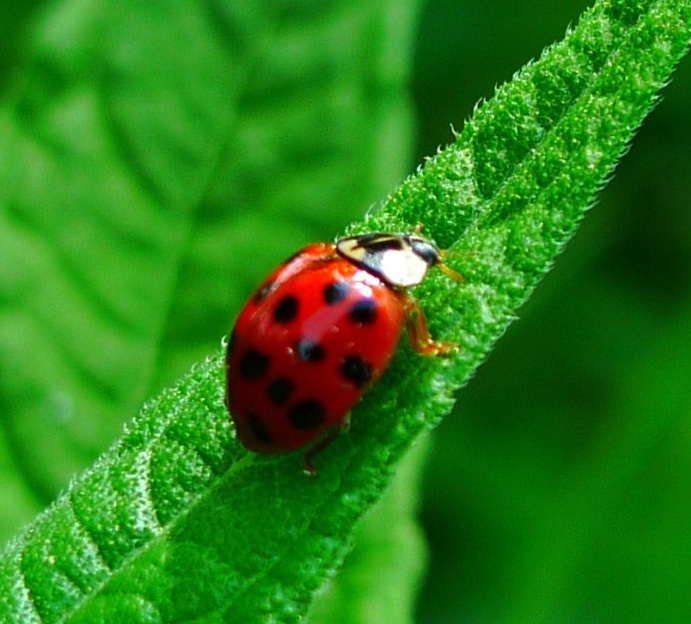 New Hampshire designated the ladybug (also called ladybird or lady beetle) as the official state insect in 1977 (championed by the pupils of Broken Ground grammar school of Concord NH). 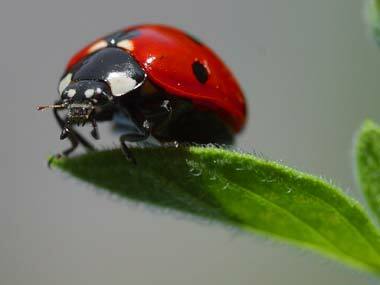 Ladybugs help gardeners and farmers by eating tiny insect pests that damage plants. A ladybug can consume up to 60 aphids per day, and will also eat a variety of other harmful insects and larvae (including scales, mealy bugs, leaf hoppers, mites, and other types of soft-bodied insects), as well as pollen and nectar. According to John Losey, a Cornell University entomologist who leads the Lost Ladybug Project (funded by a National Science Foundation grant recruiting citizen scientists, particularly children, to search for nine-spotted ladybugs and other ladybug species, and send photos of them to Cornell for identification and inclusion in a database), there are about 5,000 species of ladybugs, with about 450 species in the United States. Ohio, New York, Massachusetts, Tennessee, and Delaware also recognize the ladybug as an official state symbol. Ladybug; photo by GabiV / hopeful<3 (on/off) on Flickr (noncommercial use permitted with attribution / share alike). 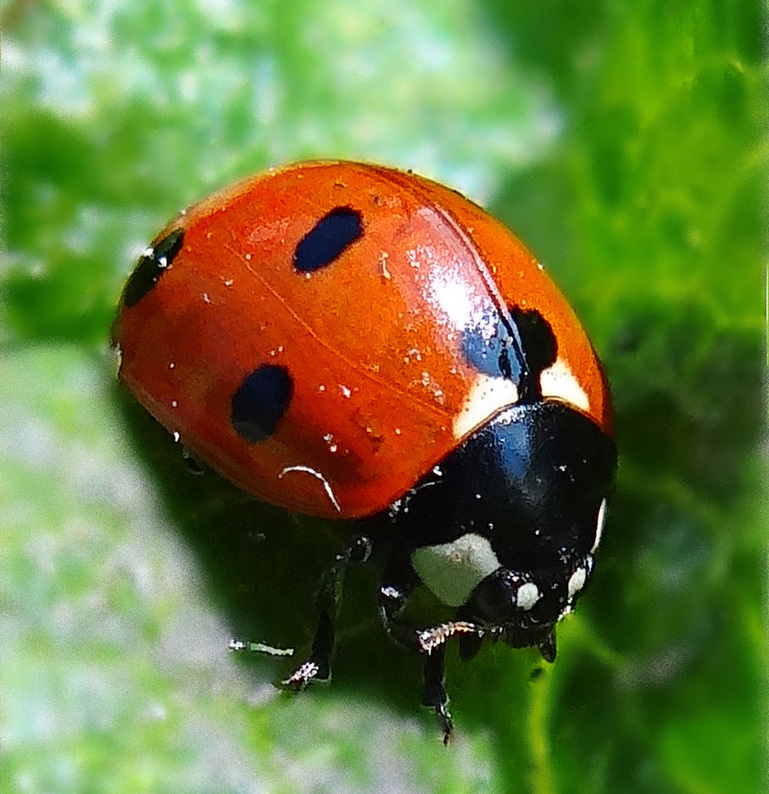 Photo of Ladybug beetle (public domain image on Free Public Domain Photo Database: Ladybug on a leaf).